How Can I Leave At 5 p.m. Without Looking Like A Slacker? We know that sitting at your desk for long hours doesn’t mean you’re more dedicated to your work, but how can you convince your coworkers? Time has a way of slowing down to a glacial pace when you are watching the clock at work. The idea of putting in “face time” seems antiquated in the age of flexible work schedules. But what if you work in an office that seems to value how long you’re at your desk more than what you are accomplishing? 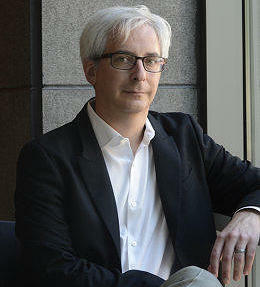 Psychologist Art Markman helps a reader navigate the peer pressure of staying late. I generally like my job, the people I work with, and the work that I do. However, my company culture seems to really value “face time.” I come into the office around the same time as everyone else (9 a.m.), but I’m generally done with my work by 5 or 5:30 p.m. However, nearly everyone stays until 6 p.m. or later. I don’t think they really have more to do than I do, so I don’t know if they are just slower or getting distracted more throughout the day. Regardless, I feel the pressure to stay as late as everyone else so I don’t look like a slacker. It’s annoying because I work hard during the day, and would love to be able to go home when I’m done with my work without looking like I’m less committed to my job than my coworkers who aren’t as good at time management. You have hit on a problem that many people face in the workplace. There are people who are more focused on the amount of time being spent in the office than on how much people are actually getting done. In certain jobs, the amount of time you spend on the task correlates almost perfectly with the amount you accomplish. In most of those jobs, though, the work is being pushed at you. Grocery store cashiers, assembly line workers, and emergency room doctors all have a steady flow of work that comes from the outside. The more time they work, the more work they can do. Of course, at some point fatigue sets in, and even these people will start making errors that they would not make if they were fresh. In other jobs, though, the amount of time on task does not correlate that well with productivity. In particular, the more creative or conceptual the work you are doing, the more that it is important to have time away from work. This time away has a number of benefits. First, after a prolonged period of sustained attention, people need some rest to build up their resources to continue to pay attention. Second, when people need to do some creative work, time away from a task is important. It gives people a chance to let some of the specific details fade away and provides a chance for people to be reminded of other things they know about that might help them take a fresh approach to the problem. Third, good emotion regulation requires regular rest. Too much time in the office can make it hard for people to act nicely towards others. The more creative or conceptual the work you are doing, the more that it is important to have time away from work. For all of these reasons, it is important for people to recognize that a career is a marathon, not a sprint. While there may be some periods in which sustained effort is needed to meet a deadline or handle a crisis, long workdays every day are simply not sustainable. All of this is a preamble to your actual question, of course. Your concern is that leaving early might hurt your reputation in the office. In this context, though, it is important to remember that if you are getting your work done, the additional time will not actually add to your productivity, and might actually harm it. The first thing you should do is to talk with your supervisor and make sure that nobody has complaints about your productivity. Talk openly about feeling pressure to work longer hours than you need to in order to complete your work. This conversation will help in two ways. First, it will help you give yourself permission to leave work at the end of the workday. Second, it will help you reinforce to your supervisor that you are actually being quite productive, even if you are not the last one in the office each day. Does My Boss Have A Boundary Problem? Second, you can find other ways for your contributions in the workplace to be visible beyond staying late at night. Take opportunities to give presentations about the work being done by your group. Find more senior people in the company who are productive without working long hours and seek them out as mentors. Those individuals can let you know how they manage their workdays and their colleagues. As mentors get to know you, they can also serve as your advocates to other people in the company who may be more focused on the number of hours spent in the office.